Or, more accurately, the old XCOM first-person shooter has been rejigged as a third-person action game and will be out in August. 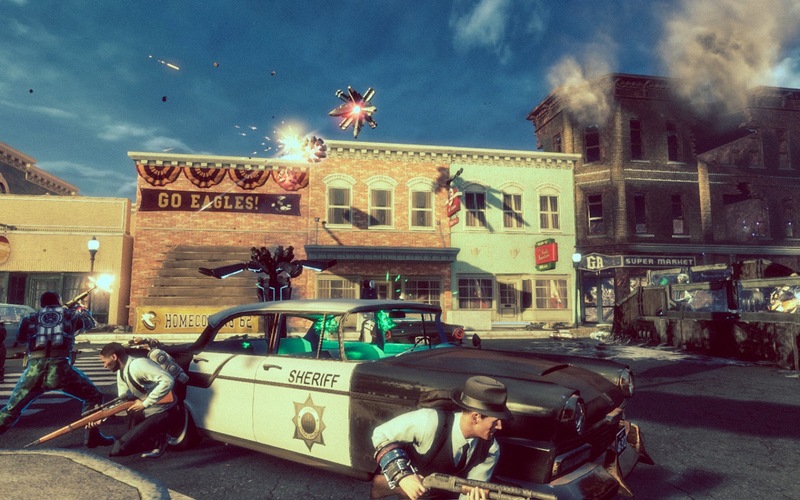 The Bureau: XCOM Declassified (and sadly not Mad Men vs. Aliens) is the new name for what was previously called just XCOM. The game has had a highly troubled history, with development extending back a good four years. The success of last year's XCOM: Enemy Unknown seems to have caused a bit of a rethink and the game has moved away from a first-person viewpoint to a third-person one, with a cover system apparently inspired by the turn-based game. The setting - 1962 America - remains intact but there is now a traditional XCOM base hub from where players will choose missions (which will include both story-based essential assignments and optional side-objectives) and learn important information. On the negative side, the FPS version's more intriguing elements, like a focus on investigation and clue-gathering with combat being a secondary concern, sound like they've been watered down, with combat now the square focus of the game. Some of the more intriguing alien designs have been retained, however. Finally, it remains unclear if The Bureau is a prequel to Enemy Unknown or is still set in a parallel universe, as the FPS version was. We'll find out on 20 August. Does DOCTOR WHO need more people in charge?